First Friday – First Fridays at the Metropolitan Arts Council in Greenville. For more information call (864) 467-3132 or visit http://www.firstfridaysgreenville.com/. Through April 29 – French Heritage Festival at a variety of locations around Abbeville. You’ll enjoy an artisans market, a wine social, music, historical speakers, a puppy parade, an international car show, a bike ride, and much more! For more information call (864) 366-2158 or visit http://www.abbevillefirst.com/event/2017-french-heritage-festival/. Through April 30 – Greater Clemson Music Festival at a variety of locations in the Greater Clemson area. You’ll hear everything from reggae, rock, jazz, blues, gospel, and more. For more information call (864) 650-0585 or visit http://www.clemsonmusicfest.org/. April 27 – “David Sedaris” at the Peace Center Concert Hall in Greenville. He is one of America’s favorite humor writers who is known as “the master of satire and one of the most observant writers addressing the human condition today” so this will surely be a great show, with a chance to get one of his books signed before or after the show. For more information call (864) 467-3000 or visit http://www.peacecenter.org/events/detail/david-sedaris. April 28 – Beach Bash Ball and & Auction at the Hodge Center of the University of South Carolina Upstate in Spartanburg. Come out and enjoy good food, an open bar, music by The Band of Oz, and a live and silent auction. For more information call (864) 503-5893 or visit http://www.upstatespartans.com/uclub/2016_athletic_auction. April 28 – Blue Ridge Fest on West Main Street in Pickens. Enjoy great music, classic cars, and good food with proceeds to benefit 12 charities in 4 counties! For more information call (800) 240-3400 or visit http://blueridgefest.com/. April 28 – 29 – Ghost Creek Gourd Fest at the Ghost Creek Farm in Laurens. If you’ve always wanted to learn how to do gourd crafts, here is your chance, or if you just want to view the Society members works, you can do that as well. For more information call (864) 682-5251 or visit http://southcarolinagourd.wixsite.com/scgourdsociety. April 28 – 29 – Broad River Antique Power Association Tractor and Engine Show at the Broad River Antique Power Association in Gaffney. This family fun event will include a tractor pull, exhibitions, kids games and vendors. For more information call (864) 304-7558 or visit http://broadriverapa.org/. April 28 – 30 – “Getting Sara Married” at the Oconee Community Theatre in Seneca. This humorous production is about Sara, a mid-30’s lawyer who is too busy for romance, but whose Aunt is determined to see her single status changes. For more information call (864) 882-1910 or visit http://www.oconeetheatre.org/shows.html. April 28 – 30 – Spartanburg Spring Fling in downtown Spartanburg. You’ll enjoy music and other entertainment on four different stages, performances by the Disc Connected K-9’s, food and market vendors, and much more! For more information call (864) 596-2976 or visit http://www.cityofspartanburg.org/spring-fling. April 29 – Healthy Living Expo at McAlister Square in Greenville. Attend workshops learning about health related topics, visit with vendors and learn about what they have to offer, and overall learn how to be more healthy and more health conscious. For more information visit http://www.upstatehealthylivingexpo.com/. April 29 – Wheels for Meals Charity Ride at Trailblazers Park in Travelers Rest. This bicycling event will provide you with beautiful scenery and challenging routes with 5 routes total, from a 10 mile family fun ride up to a 102 mile English Century ride. For more information visit http://www.wheelsformeals.com/site/TR?fr_id=1040&pg=entry. April 29 – Mutt Strut at Falls Park in Greenville. Bring out your dog for this 2 mile run/walk with free food, live entertainment, vendors, and plenty of dog entertainment! For more information visit http://www.ghsmuttstrut.com/. April 29 – Riding for Relay Poker Run at The Rough House in Abbeville. This event has 5 stops followed by an after party. For more information visit https://www.facebook.com/events/1237337869717019/?active_tab=about. April 29 – Beer Walk in downtown Abbeville. Held in conjunction with the French Heritage Festival, you’ll have a chance to taste a variety of beers from around the southeast. For more information visit https://www.facebook.com/events/208565482945520/. April 29 – Community Yard Sale at Disciples United Methodist Church in Greenville. Come check out the variety of times, with baked goods and lunch also being offered. For more information call (864) 297-0382 or visit http://www.mydisciples.org/document/2017yardsaleflyer.pdf. April 29 – Kings Mountain Marathon at Kings Mountain State Park in Blacksburg. You’ll have a chance to run a marathon or a half-marathon on this hill challenging course. For more information call (864) 247-6735 or visit http://www.kingsmountainmarathon.com/. April 29 – Military Items Sale at the Military History Center at the Greenville Downtown Airport. Greenville wants to build a Military History Center and the proceeds from this will help them accomplish this, with any donations of military items from any time or country welcome. For more information call (864) 270-6660 or visit http://www.greenvilledowntownairport.com/attachments/File/MHCC_Hangar_Sale.pdf. April 29 – Spartanburg Philharmonic Orchestra at the Twichell Auditorium at Converse College in Spartanburg. This will be the Grand Finale performance of this tremendous group for this season. For more information call (864) 948-9020 or visit http://www.converse.edu/event/spartanburg-philharmonic-orchestra-presents-grand-finale/. April 29 – Spring Means Babies at Split Creek Farm in Anderson. This fun event will show you what life is like on a goat dairy farm with exhibitions, vendors, and the chance to see the new babies! For more information call (864) 287-3902. April 29 – Vintage Market at the Park at Greer City Park in Greer. You’ll find over 75 vendors with everything from handmade, to vintage, to upcycled items for sale! For more information call (864) 621-2020 or visit http://www.vintagemarketgreer.com/. April 29 – May 7 – “Seussical Theater for Young Audiences” at the Gunter Theater in Greenville. This is a wonderful, magical show filled with music and fun! For more information call (864) 467-3000 or visit http://www.peacecenter.org/events/detail/seussical-theatre-for-young-audiences. May 2 – Cesar Chavez Power of Words Talk at the Hughes Main Library in Greenville. Chevez was a former migrant worker who became a labor leader and Civil Rights activist who was a cofounder of the National Farm Workers Association, later called the United Farm Workers union with the talks being led by Vera Gomez who is a poet and was born to immigrant parents. For more information call (864) 244-1499 or visit http://www.greenvillechautauqua.org/?event=cesar-chavez. May 4 – 6 – Abbeville Spring Festival at the Court Square in Abbeville. This wonderful little town will be filled with craft vendors, lots of entertainment, food, amusement rides, and more! For more information call (864) 366-9673 or visit https://abbevillespringfestival.com/. May 4 – 14 – The Great Anderson County Fair at the Anderson Sports and Entertainment Center in Anderson. This 10 day event will be filled with loads of fun, rides, food, animals, lots of live entertainment, and so much more! For more information call (864) 757-3022 or visit http://thegreatandersoncountyfair.com/. May 5 – “Mountain Faith Band” at the Walhalla Civic Auditorium in Walhalla. This inspirational bands mission is to encourage kids and adults alike to write their dreams in songs and stories, and pursue them! For more information call (864) 638-5277 or visit http://www.walhallacivic.com/events.html. May 5 – Spartanburg Association Wildlife Banquet at the Spartanburg Memorial Auditorium in Spartanburg. Every year, over 800 sportsmen and women attend the banquet to enjoy a meal, a silent and live auction, door prizes, and a raffle all to raise funds for wildlife education and conservation. For more information call (864) 591-1220 or visit http://www.hamptonwildlifefund.org/events.html. May 5 – 6 – Greer Family Fest at the Greer City Park in Greer. This family fun event will include live entertainment on two stages, a kid’s zone, a restaurant zone, and more than 150 vendors. For more information call (864) 877-3131 or visit http://greerchamber.com/events/greer-family-fest/. May 5 – 6 – Project Host BBQ Cook-Off and Festival at Hudson and Welborn Streets in Greenville. Enjoy a weekend of fun along the Reedy River with a chicken wing competition, a BBQ and rib competition, lots of live entertainment, food vendors, games, and more. For more information call (864) 235-3403 or visit http://www.projecthost.org/bbq.html. May 5 – 7 – CAF Fighters and Bombers Tour at the Greenville Downtown Airport in Greenville. 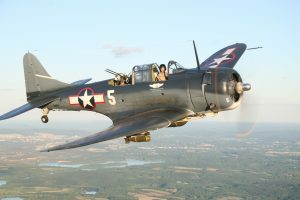 This event will allow you the opportunity to see historic war aircraft and at a cost, fly in a P-51 Mustang, a SBD Dauntless, or a B-25 Mitchell. For more information call (404) 202-9348 or visit http://dixiewing.org/greenville-s-c-may-5-6-7/. May 6 – “Eric Church: Holdin’ My Own Tour” at the Bon Secours Wellness Arena in Greenville. This amazing country artist will undoubtedly provide you with an evening to remember. For more information call (864) 241-3800 or visit http://www.bonsecoursarena.com/events/detail/eric-church. May 6 – Reedy River Duck Derby at Falls Park in Greenville. At this fun event you can race a rubber duck or just root one on, enjoy live entertainment, dance, or get something painted on your face! For more information visit http://www.greenvilleeveningrotary.org/duck-derby/. May 6 – Strawberry Festival in downtown Slater, north of Travelers Rest. This will be a fun filled day with lots of fresh strawberries and strawberry made items, crafters, live entertainment, and lots of family fun! For more information visit http://foothillsfamilyresources.org/strawberry-festival/. May 6 – Spring Express and Craft Show and Community-Wide Yard Sale in downtown Iva. Come out and sell your wares or used items, or just come out for the fun of shopping for that special find while enjoying goodies from the food vendors. For more information call (864) 940-2919 or visit http://townofiva.com/event/spring-express-community-wide-yard-sale/. May 6 – 7 – “Cirque de la Symphonie” at the Peace Center Concert Hall in Greenville. You’ll enjoy a blend of classic hits with live acrobatics that will absolutely astound you. For more information call (864) 467-3000 or visit http://www.peacecenter.org/events/detail/cirque-de-la-symphonie. May 6 – 7 – Tamassee Craft Brew Festival at the old Keowee Town Market in Salem. You’ll enjoy a variety of live music throughout the weekend, representation from a number of different breweries, food and lots of fun. For more information call (864) 557-6168 or visit http://www.tamasseecraftbrewfestival.com/. May 9 – “Steve Winwood” at the Peace Center Concert Hall in Greenville. Listed as one of Rolling Stones “100 greatest singers of all time”, this 2004 Rock and Roll Hall of Fame inductee will provide you with an amazing evening of entertainment. For more information call (864) 467-3000 or visit http://www.peacecenter.org/events/detail/steve-winwood. May 11 – “Jewels from the City of Light” at the Gunter Theater in Greenville. This Chamber concert will consist of works from the four composers who made Paris one of the music centers of the world. For more information call (864) 467-3000 or visit http://www.peacecenter.org/events/detail/jewels-from-the-city-of-light. May 11 – 21 – “DeliKatessen” at the Center Stage Theater in Greenville. A landmark New York delicatessen owned by a Jewish couple, both concentration camp survivors, falls on hard times, when they discover a German delicatessen is moving in across the street. For more information call (864) 233-6733 or visit http://centrestage.org/delikatessen/. May 11 – June 18 – “The Way We Worked” Opening Reception at the Pickens County Museum of Art and History in Pickens. This Smithsonian exhibit tells how work became a central part of American culture and the changes that have taken place in the work world over the last 150 years. For more information call (864) 898-5963 or visit http://www.visitpickenscounty.com/event/1564/a-smithsonian-exhibit-the-way-we-worked/. May 12 – 14 – Artisphere in downtown Greenville. You’ll enjoy three days filled with live entertainment while seeing some of the most fabulous artists and artisans doing demonstrations, offering DIY projects to try, juried artists competitions, a wine and beer experience, and so much more! For more information call (864) 271-9398 or visit http://artisphere.org/. May 13 – Greenville Music Festival at the Bon Secours Wellness Arena in Greenville. You’ll enjoy entertainment by Keith Sweat, 112, Next, K-Ci & JoJo. For more information call (864) 241-3800 or visit http://www.bonsecoursarena.com/events/detail/greenville-music-festival. May 13 – American Truck Historical Society Palmetto Upstate Chapter Spring Show at the O’Neal Church of God Community Park in Greer. Here is your chance to see antique trucks! For more information call (864) 677-3453 or visit http://www.allvintagetrucks.com/_blog/Truck_Shows_and_Flea_Markets/post/aths-palmetto-upstate-chapter-spring-show-may-13-2017/. May 13 – Classic Car Show in downtown Iva. Enjoy a day filled with live beach music while checking out some great classic cars! For more information call (864) 348-6193 or visit http://townofiva.com/event/iva-classic-car-show/. May 13 – Sock Hops Vocal Group at the Walhalla Civic Auditorium in Walhalla. This band plays all your favorite dance tunes from the 50’s, 60’s, and 70’s. For more information call (864) 638-5277 or visit http://www.walhallacivic.com/events.html. May 15 – The Assaults Cycling Challenge at the Spartanburg Memorial Auditorium in Spartanburg. This intense and premier cycling experience brings bikers from all over the world traveling from Spartanburg to the top of Mt. Mitchell. For more information call (864) 546-4782 or visit http://theassaults.com/. Through April 29 – Come-See-Me Festival at various locations around Rock Hill. This event offers something for everyone, including chalk drawing on Main Street, a milkweed seminar and butterfly release, gymnastics camps for kids, a road race, lots of live music, and so much more! For more information call (803) 329-7625 or visit https://www.comeseeme.org/. Through April 30 – Aiken Spring Classic Horse Show at the Highfields Event Center in Aiken. This event brings people from all over the country and even some foreign countries to compete at the Premier level. For more information call (803) 649-3577 or visit http://www.visitaikensc.com/calendar/event/aiken_spring_classic_finale. April 26 – “Three Redneck Tenors” at the Newberry Opera House in Newberry. These three men are absolutely amazing so don’t miss the chance to see them! For more information call (803) 276-6264 or visit https://www.newberryoperahouse.com/shows-and-events.html?show_name=3-redneck-tenors-a-musical-adventure. April 27 – “Three Redneck Tenors” at the Etherredge Center in Aiken. These three men are amazingly good and will put on a show you won’t soon forget! For more information call (803) 641-3305 or visit http://etherredge.usca.edu/?trumbaEmbed=date%3D20170423#/?i=1. April 27 – Chamber Music Southeast with Philip Bush & Claire Bryant at the Fine Arts Center of Kershaw County in Camden. This will be the last performance of the season and will present a variety of works and styles from throughout history. For more information call (803) 425-7676 or visit http://www.fineartscenter.org/events/2017/04/27/cmsoutheast17/. April 28 – “Dwayne Johnson & the Soulfood Jazz Band” at the Sumter Opera House in Sumter. This band has a sound like no other with a blend of gospel, smooth jazz, R&B and classical. For more information call (803) 436-2616 or visit https://tickets.vendini.com/ticket-software.html?t=tix&e=3cec09b5821a712fa86a9e542f32a69d&vqitq=691addc0-68fd-44d8-8b74-25df01129d25&vqitp=5259e6b9-909f-475a-991b-0894fe9d5c66&vqitts=1490189410&vqitc=vendini&vqite=itl&vqitrt=Safetynet&vqith=1952a48eb3002ce0cdc733cc111b9df9. April 29 – “Rick Alviti: That’s the Way it Was Elvis Tribute” at the Newberry Opera House in Newberry. For all you Elvis fans, this is the show for you! For more information call (803) 276-6264 or visit https://www.newberryoperahouse.com/shows-and-events.html?show_name=rick-alviti-that-s-the-way-it-was-elvis-tribute. April 29 – Run UNITED on Newberry Street in downtown Aiken. This half marathon, 5K and kid’s fun run with over $2000 in cash prizes to be awarded. For more information call (803) 649-6245 or visit http://aikenco-op.org/RunUnited. April 29 – Clinic Classic at the Community Medical Clinic of Kershaw County in Camden. This is a 5K walk/run through the Historic District of Camden with proceeds to benefit the Community Medical Clinic. For more information call (803) 713-0806 or visit https://cmcofkcorg.presencehost.net/aboutus/events.html. April 29 – Earth Day Birthday at the Museum of York County in Rock Hill. This family friendly event will include activities, games, entertainment and over 25 educational exhibits with hands on learning opportunities, as well as artisans with fresh food, upcycled crafts, and recycled wares. For more information call (803) 909-7244 or visit http://www.chmuseums.org/event/2232/. April 29 – Historic Beech Island Tour at the Beech Island Historical Society Visitors Center in Beech Island. This fun tour will take you to historic homes, churches, museums, even cemeteries as you learn about the history of the area, with a BBQ lunch available. For more information call (803) 827-0184 or visit http://www.beechislandhistory.org/. April 29 – September 30 – “Not Just Another Love Story” at the Narroway Theater in Fort Mill. This dinner show will make you laugh and cry with America’s greatest generation and remembrances of the days of World War II. For more information call (803) 803-2300 or visit https://narroway.net/dinner-shows/love-story. April 30 – “Pat Boone” at the Newberry Opera House in Newberry. This iconic entertainer is one you won’t want to miss! For more information call (803) 276-6264 or visit https://www.newberryoperahouse.com/shows-and-events.html?show_name=added-show-pat-boone. April 30 – “Around the World in 20 Songs or So” at Aiken’s First Baptist Church in Aiken. This is the Aiken Choral Society’s spring concert. For more information call (803) 641-4277 or visit https://www.facebook.com/Aiken-Choral-Society-449467548487504/. May 3 – 7, 10 – 14 – Aiken Charity Horse Show at the Aiken Horse Park in Aiken. This event has something for everyone from toddlers to the strongest competitors in a beautiful prime setting. For more information call (803) 218-9977 or visit http://www.visitaikensc.com/calendar/event/aiken_charity_horse_show. May 4 – 7 – Black Cowboy Festival at Greenfield Farm in Rembert. This will be a fun filled weekend with demonstrations such as farrier/blacksmithing, storytelling, workshops on how to be self-reliant, participate in a cowboy trail ride, take some line dance lessons, and much more! For more information call (803) 499-9658 or visit http://www.members.tripod.com/blackcowboyfest/calendar-of-events.html. May 5 – 6 – Cooterfest at the Allendale Community Center in Allendale. If you’ve never seen a cooter race, here is your chance, as well as enjoy carnival rides, live entertainment, a street dance, CWA Pro Wrestling and more! For more information call (803) 584-4619 or visit http://cooterfest.com/. May 5 – 6 – South Carolina Strawberry Festival at Walter Elisha Park in Fort Mill. Here is your chance to get some sweet and juicy strawberries, participate in a strawberry eating contest, watch a pig race, view a butterfly exhibit, ride carnival rides, and more! For more information call (803) 487-5413 or visit http://www.scstrawberryfestival.com/. 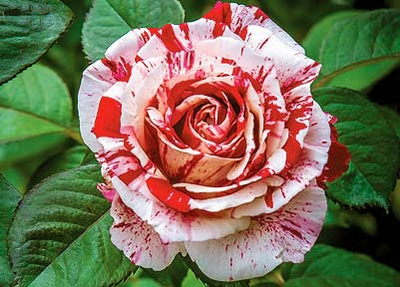 May 5 – 7 – Festival of Roses at the Edisto Memorial Gardens in Orangeburg. This is a chance to enjoy the wonderful display of roses in the fabulous Gardens along the Edisto River, while being entertained by performers on two stages, enjoying viewing works by crafters and artisan vendors, enjoying fun food, and a special area just for the kids! For more information call (803) 534-6821 or visit http://www.festivalofroses.com/. May 6 – “The Diamonds” at the Newberry Opera House in Newberry. This band from the Doo Wop Hall of Fame will take you back with their 1957 hit Little Darlin’, as well as many others. For more information call (803) 276-5179 or visit https://www.newberryoperahouse.com/shows-and-events.html?show_name=the-diamonds. May 6 – Aiken Horsepower Spring Fling Show and Shine at the Aiken Mall in Aiken. Enjoy viewing some fabulous cars, trucks, and motorcycles, participate in a silent auction, kids can participate in a hot wheels race, win a door prize, and just enjoy having great fun. For more information call (803) 270-3505 or visit http://www.aikenhorsepower.com/SpringFling.php. May 6 – Aiken Symphony Orchestra’s Pops Blockbuster at the Etherredge Center in Aiken. You’ll enjoy well known hits from Indiana Jones, Harry Potter, Star Wars, and more. For more information call (803) 295-0313 or visit http://aikensymphonyorchestra.com/. May 6 – “Noises Off” at the Aiken Community Playhouse in Aiken. Called “the funniest farce ever written” about putting on a comedy. For more information call (803) 648-1438 or visit http://aikencommunityplayhouse.com/shows/. May 6 – Woofstock at the Citizens Park in Aiken. You’ll see dog races, dog costume contests, receive a balloon animals, enjoy food and music, as well as get the chance to adopt a pet. For more information call (803) 514-4313 or visit http://www.fotasaiken.org/woofstock-doxie-derby-2017/. May 6 – 7 – “Let the Land Say . . . Amen” at the Allison Creek Presbyterian Church in York. This festival honors the history of Clay Hill with children’s games and activities, interpretive tours, period music, and the chance to see the documentary, “Allison Creek: From the KKK to Liberia, One Churches Quest to Reconcile Itself.” For more information call (803) 366-1302 or visit http://www.letthelandsay.com/. May 7 – “Doug and Bunny Williams” at the Newberry Opera House in Newberry. This talented couple will provide you with a variety of music, with everything from bluegrass to opera. For more information call (803) 276-5179 or visit https://www.newberryoperahouse.com/shows-and-events.html?show_name=doug-bunny-williams. May 7 – Camden Community Concert Band Spring Concert Band Spring Concert at the Fine Art Center of Kershaw County in Camden. This talented groups of musicians will entertain individuals of all ages. For more information call (803) 425-7676 or visit http://fineartscenter.org/events/2017/05/07/ccdb2spring17/. May 10 – Senior Expo at Piedmont Technical College in Newberry. This free vendor resource fair will provide you with a chance to see what resources are available for seniors, enjoy a lunch and learn, as well as the chance to win door prizes. For more information call (803) 276-8266 or visit https://www.newberryseniorexpo.com/. May 10 – Microbacterial Benefits Museum of York County in Rock Hill. Discover the gruesome side of some bacteria and compare them to good bacteria we need to survive. For more information call (803) 909-7244 or visit http://chmuseums.org/event/2217/. May 10 – “Under the Stars” Schooling Dressage Show at Stable View Farm in Aiken. For more information call (484) 356-3173 or visit http://stableviewfarm.com/general/20162017-schedule-events-stable-view/. May 11 – Rockin’ the Barn at The Barn at Forevermore Farms in Moore. Enjoy music by Back9, while enjoying dinner, drinks, dancing, and a silent auction. For more information call (864) 576-7101 or visit http://www.ciaspartanburg.org/new-events/2017/1/11/buy-tickets-now-rockin-in-the-barn. May 11 – Ft. Mill Wildlife Banquet at the Dairy Barn of the Anne Springs Close Greenway in Ft. Mill. This banquet is to benefit the Harry Hampton Wildlife Fund in support of wildlife education and conservation. For more information call (803) 329-9999 or visit http://www.hamptonwildlifefund.org/events.html. May 12 – “John Conlee” at the Newberry Opera House in Newberry. This country music icon will certainly provide you with a memorable evening. For more information call (803) 276-5179 or visit https://www.newberryoperahouse.com/shows-and-events.html?show_name=john-conlee. May 12 – 13 – Aiken Bluegrass Festival at the Aiken Fairgrounds in Aiken. This weekend is filled with entertainment, to include The Infamous Stringdusters, Fruition, Billy Strings, just to name a few. For more information call (803) 640-9287 or visit https://www.aikenbluegrassfestival.org/tickets. May 13 – Fire Ant Color 5K at the University of South Carolina Sumter Campus. This fun and colorful run will be proceeded by dancing, pictures, and loads of fun! For more information visit https://www.facebook.com/events/170845469941009/. May 13 – Barbecue Dinner Trains at the South Carolina Railroad Museum in Winnsboro. Take a ride on the train while enjoying a tasty BBQ dinner. For more information call (803) 635-9893 or visit http://www.scrm.org/. May 13 – Show and Shine Car Show and Beach Music at Friendship United Methodist Church in Rock Hill. Enjoy an evening of good music while enjoying the car show. For more information call (803) 324-0482 or visit http://friendshipumc-rockhill.org/DatestoRemember. May 14 – Kershaw County Music Association Mother’s Day Concert at the Fine Art Center of Kershaw County in Camden. Local talented musicians from the Association along with invited guests will honor all mothers and grandmothers will this performance. For more information call (803) 425-7676 or visit http://fineartscenter.org/events/2017/05/14/kcma2017mom/. May 14 – Mother’s Day at Main Street Children’s Museum in Rock Hill. Mother’s and grandmothers will receive free admission and the chance to enjoy a day of play. For more information call (803) 327-6400 or visit http://chmuseums.org/event/2216/. Through April 29 – ArtFields at various locations around Lake City. This event is to honor the artists of the southeast in over 40 different venues and provide a chance for them to complete for over $100,000 in prizes. For more information call (843) 374-0180 or visit http://www.artfieldssc.org/attendees/events/. Through April 30 – “Painting the Southern Coast: The Art of West Fraser” at the Gibbs Museum of Art. Here is a chance to see the beautiful works of this talented artists who resides in Charleston. For more information call (843) 722-2706 or visit http://www.gibbesmuseum.org/exhibitions/painting-the-southern-coast-the-art-of-west-fraser/79. Through April 30 – “History, Labor, Life: The Print of Jacob Lawrence” at the Gibbs Museum of Art in Charleston. This influential American artist began with painting, but then began making prints and even intertwined the two. For more information call (843) 722-2706 or visit http://www.gibbesmuseum.org/exhibitions/history-labor-life-the-prints-of-jacob-lawrence/78. Through April 30 – “Sister Act” at the Dock Street Theatre in Charleston. This Broadway musical about a women placed in a convent under the witness protection program will fill you with laughter! For more information call (843) 577-7183 or visit https://www.charlestonstage.com/shows-and-tickets/the-shows/45-sister-act.html. Through May 7 – “Play Me, I’m Yours” at the Wilcox Plaza in Florence. This event has been placed in 50 cities around the world and Florence has been chosen, with twenty-three decorated pianos being placed throughout the city for anyone to sit down and play. For more information call (843) 260-6210 or visit http://streetpianos.com/florence2017/. Through May 28 – “Stayin’ Alive” at the 34 West Theatre in Charleston. This hilarious 70’s musical includes a “smooth talking soap star” who fights for “love, bellbottoms, and disco fever.” For more information call (843) 901-9343 or visit http://www.34west.org/calendar/. April 26 – “Mamma Mia” at the North Charleston Performing Arts Center in North Charleston. This fantastic musical combines songs by “Abba” with an enchanting love story of laughter and friendship. For more information call (843) 529-5000 or visit https://www.northcharlestoncoliseumpac.com/events/detail/mamma-mia. April 26 – “Blink 182” at the North Charleston Coliseum in North Charleston. This great pop punk band had two number one hits last year on Alternative Rock Radio so don’t miss this show! For more information call (843) 529-5000 or visit https://www.northcharlestoncoliseumpac.com/events/detail/blink-182. April 27 – “Florida Georgia Line” at the North Charleston Coliseum in North Charleston. You won’t want to miss this amazing Country band! For more information call (843) 529-5000 or visit https://www.northcharlestoncoliseumpac.com/events/detail/florida-georgia-line. April 27 – “The Clean House” at the Main Street Theater on Hilton Head Island. This whimsical comedy is likely one of the funniest play you may ever see, so don’t miss your chance to see it. For more information call (843) 715-6676 or visit http://www.leanensemble.org/now-showing-oct-2016. April 27 – Yappy Hour at the James Island County Park in Charleston. Bring your “best friend” out for some fun at the dog park, with live entertainment and beverages to help you unwind. For more information call (843) 795-4386 or visit http://ccprc.com/1181/Yappy-Hour. April 28 – “I Love the 90’s” at the North Charleston Coliseum in North Charleston. This show will have you reminiscing about the 90’s and the variety trend-setting music that decade brought, with performers such as Vanilla Ice, Salt n Peppa, Color Me Bad, just to name a few. For more information call (843) 529-5000 or visit https://www.northcharlestoncoliseumpac.com/events/detail/i-love-the-90s. April 28 – Lowcountry Wingapalooza at the Charleston Visitors Center Bus Shed in Charleston. All of the best wing restaurants in the area are coming together to compete for the title of best wings, and you get the chance to vote for your favorite! For more information call (843) 688-5995 or visit http://www.lowcountrywingapalooza.com/. April 29 – Charleston Live: “Diaspoura”, “Contour”, and “Mechanical River”” at the Charleston Music Hall in Charleston. This bi-monthly new series showcases the best musicians and bands from the city and region. For more information call (843) 853-2252 or visit http://www.charlestonmusichall.com/event/1445396-charleston-live-diaspoura-charleston/. April 29 – Putting for Parkinsons at the Wescott Golf Club in North Charleston. This event is intended to raise awareness of this horrible disease and to fund research to find a cure. For more information visit http://www.puttingforparkinsons.com/. April 29 – Bird Songs: Nashville Songwriters in the Round at the Avian Conservation Center/Center for Birds of Prey in Awendaw. Enjoy an evening filled with music by some of Nashville’s most famous songwriters while enjoying a wonderful Lowcountry meal and libations all to benefit this wonderful non-profit organization. For more information call (843) 791-7474 or visit http://www.thecenterforbirdsofprey.org/birdsongs/. April 29 – “Under the Big Top: Cirque de la Symphonie” at the North Charleston Performing Arts Center in North Charleston. Back with a new show using pop music performed by the local orchestra. For more information call (843) 529-5000 or visit https://www.northcharlestoncoliseumpac.com/events/detail/under-the-big-top-cirque-de-la-symphonie. April 29 – Dragon Boat Festival at Grand Park at the Market Commons in Myrtle Beach. If you’ve never seen a Dragon Boat Race, this is your chance to come see what it’s all about, and of course, enjoy all of the other fun activities that are a part of the Festival! For more information call (843) 945-9440 or visit http://www.mygroundzero.com/dragon-boat/. April 29 – Earth Day Music Fest and Diabetes 5K at the Myrtle Beach Speedway in Myrtle Beach. The 5K is a fun run for anyone of any age and ability, followed by a variety of bands and lots of fun! For more information call (843) 995-3199 or visit http://grandstrand.happeningmag.com/myrtle-beach-10th-annual-earth-day-music-fest-diabetes-5k/. April 29 – Shaggin’ on the Cooper with “The Sugarbees” on the Mount Pleasant Pier in Mount Pleasant. The weather is warming up so head on out for a night of dancing and fun! For more information call (843) 795-4386 or visit http://ccprc.com/1175/Shaggin-on-the-Cooper. April 29 – Taste of James Island at the First Baptist Church of James Island Athletic Practice Field in Charleston. This is a fun event that includes a variety of churches creating tantalizing foods, providing a variety of entertainment, including kid’s activities all to collect canned goods for the food pantry of James Island Outreach. For more information call (843) 762-3653 or visit http://jioutreach.org/taste-of-james-island/. April 29 – Taste of the Coast at the House of Blues in North Myrtle Beach. This family fun event will include foods from the best restaurants in the area, along with local live entertainment, and lots of kid’s activities! For more information call (843) 272-8163 or visit http://www.tocnmb.com/. April 29 – Wine and Warblers at the Audubon Center at Beidler Forest Center and Sanctuary in Harleyville. Join expert birdwatchers as they walk along the boardwalk to view the variety of birds that travel through this forest in the spring, while enjoying hors d’oeuvres and tasting wines and the opportunity to bid in a silent auction. For more information call (843) 462-2150 or visit http://sc.audubon.org/events/wine-warblers. April 29 – 30 – Seacoast Artists Guild Art in Common Spring Festival at Valor Memorial Garden in Myrtle Beach. This event will have a large variety of crafts and artisan works with everything from pottery to photography to choose from! For more information call (843) 748-0133 or visit http://www.inletpottery.com/art-in-common. April 29 – 30 – Marine Corps Air Station Beaufort Air Show at the Marine Corp Air Station in Beaufort. Come out and see some of the best Navy fliers there are, including a show by the tremendous Blue Angels! For more information call (843) 228-7675 or visit http://www.beaufortairshow.com/index.shtml. April 30 – Blessing of the Fleet and Seafood Festival at the Mount Pleasant Memorial Waterfront Park in Mount Pleasant. You’ll have a chance to see a boat parade, enjoy live music, visit a craft show, lots of fun activities, and of course, great seafood! For more information call (843) 884-8517 or visit https://experiencemountpleasant.com/events/blessing-of-the-fleet/. April 30 – Carolina Dreamers Car Club Cruise-In at the Shelter Cove Towne Center on Hilton Head Island. Come out and see some of the most beautiful and amazing cars at this free event! For more information call (843) 757=9889. 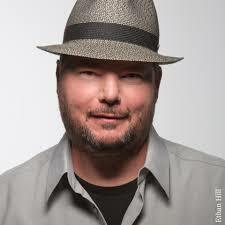 May 2 – “Christopher Cross” at the Charleston Music Hall in Charleston. This amazing artist has won 5 Grammy’s with one being Record of the Year for “Sailing”, so be sure to come out and here him. For more information call (843) 853-2252 or visit http://www.charlestonmusichall.com/event/1427593-christopher-cross-charleston/. May 2 – Starr Ward Chamber Music Series: “Sam Suggs” at the Waters Building in Florence. This featured bassist was recently named new Artist of the Month by Music America and won first prize in 2015 at the International Society of Bassists Competition, having performed many of his own compositions. For more information call (843) 260-6210 or visit http://www.scnow.com/news/local/article_15c8920a-d76b-11e6-9d44-13e9e60a8419.html. May 3 – “Marty Davis and His Famous Superlatives” at the Charleston Music Hall in Charleston. Having won five Grammy Awards, this multi-instrumentalist, singer, songwriter, photographer and historian will amaze you with his version of country music. For more information call (843) 853-2252 or visit http://www.charlestonmusichall.com/event/1440639-marty-stuart-his-fabulous-charleston/. May 3 – Wine Down Wednesday: “Chris Boone” at the Old Towne Creek County Park in North Charleston. This mid-week event will help prepare you for the remainder of the week with live music, food, and fun. For more information call (843) 795-4386 or visit http://ccprc.com/1724/Wine-Down-Wednesday. May 3 – 4 – Hospice Care of the Lowcountry’s Hearts Open Golf-A-Thon at Haig Point Signature Course on Daufuskie Island. Come out and participate in this event that will offer you the chance to win $10,000 in a putting contest and enjoy lots of other fun activities. For more information call (843) 706-2296 or visit https://www.hospicecarelc.org/our-events/hearts-open/. May 3 – 7 – North Charleston Arts Fest at the Charleston Area Convention Center in North Charleston. This is one of the most comprehensive art festivals in the State filled with visual, performing, literary, and media arts. For more information call (843) 740-5854 or visit http://northcharlestonartsfest.com/. May 4 – Taste of Hartsville at the Hartsville Country Club in Hartsville. Get dressed up and enjoy a fun evening of chef made foods and live entertainment. For more information call (843) 332-6401 or visit https://www.hartsvillesc.gov/event/2017-taste-of-hartsville/. May 5 – “Chris Botti” at the Charleston Music Hall in Charleston. This tremendous trumpeter has been established as the largest world selling jazz instrumentalist. For more information call (843) 853-2252 or visit http://www.charlestonmusichall.com/event/1415139-chris-botti-charleston/. May 5 – Angie’s Day Barbecue Fundraiser at Little River United Methodist Church in Little River. Enjoy a delivered barbecue lunch or attend a dinner and silent auction that evening with fun activities for the kids available. For more information call (843) 222-3723 or visit http://business.littleriverchamber.org/events/details/angie-s-day-20784. May 5 – 6 – Taste of Beaufort at the Henry C. Chambers Waterfront Park in Beaufort. Enjoy a weekend of music, arts, and seafood all in a beautiful setting! For more information call (843) 525-6644 or visit http://www.downtownbeaufort.com/taste-of-beaufort. May 6 – Touch-a-Truck at the Darlington Raceway in Darlington. Kids will have a chance to climb on and explore such vehicles as a dump truck, a fire truck, a police car, and more while meeting the professionals who protect and serve the community, as well as meet some mascots. For more information call (843) 395-8802 or visit https://www.facebook.com/events/236864993387110. May 6 – Lowcountry Shrimp Festival and Blessing of the Fleet at the end of Pinckney Street in McClellanville. You’ll enjoy your fill of seafood, live entertainment from local musicians, and Plane Jane from Charleston. For more information call (843) 887-3323 or visit https://lowcountryshrimpfestival.com/. May 6 – Dragon Boat Festival at Brittlebank Park in Charleston. There will be four division so come on out and root for your favorite team with all proceeds to benefit cancer survivors! For more information visit http://www.charlestondragonboatfestival.com/faf/home/default.asp?ievent=1165872. May 6 – Race the Helix at Riverfront Park in North Charleston. This is a 5K run and a 1 mile run/walk with all proceeds to benefit genetic research. For more information call (843) 746-1001 or visit http://www.ggc.org/contact.html. May 6 – Hell Hole Swamp Festival at the intersection of Highway 41 and 17A in Jamestown. Included in this event is a parade, a pageant, the 10K Gator Run/Walk, a BBQ Cook-off, rides, games, and so much more! For more information visit https://www.hellholeswampfest.com/. May 6 – Beer, Bacon, and Music Festival at Shelter Cove Community Park on Hilton Head Island. Enjoy a great day in the Park with lots of music, tasty food, and crafts brews. For more information call (843) 681-7273 or visit http://www.hiltonheadisland.com/events/event/beer-bacon-music-festival-presented-island-rec-center/. May 6 – Cars on Kiawah at Ocean Park on Kiawah Island. See spectacular cars from every era in the tremendously beautiful setting with food trucks and vendors on site. For more information call (843) 277-0271 or visit http://www.kiawahconcours.com/cars-on-kiawah/. May 6 – 7 – “The Pirates of Penzance” at Ocean View Baptist Church in Myrtle Beach. Presented by the Carolina Master Chorale. For more information call (843) 444-5774 or visit http://www.visitmyrtlebeach.com/event/carolina-master-chorale-gilbert-%26-sullivans-the-pirates-of-penzance/13038/. May 7 – “Newsboys: Love Riot Tour” at the North Charleston Performing Arts Center in North Charleston. This is one of the all time greatest Christian bands, so be sure not to miss it. For more information call (843) 529-5000 or visit https://www.northcharlestoncoliseumpac.com/events/detail/newsboys. May 7 – Yacht Hop at the Harbour Town Yacht Basin at Sea Pines Resort on Hilton Head Island. Here is your chance to set aboard some fabulous yachts, while enjoying tasty hors d’oeuvres, enjoying live music, and participating in a live and/or silent auction. For more information call (843) 706-2296 or visit https://www.hospicecarelc.org/events/yacht-hop-hilton-head/. May 8 – “Scott Bradley’s Post-Modern Jukebox” at the Charleston Music Hall in Charleston. Bradley’s artistry focuses on teaching audiences about the variety of 20th Century music styles in a way that makes it fun and sometimes funny. For more information call (843) 853-2252 or visit http://www.charlestonmusichall.com/event/1423998-scott-bradlees-postmodern-charleston/. May 11 – “Rick Springfield: Stripped Down” at the Charleston Music Hall in Charleston. Having won a Grammy for his number one song, Jessie’s Girl, and seventeen top 40’s hits, this show could very well be a sell-out. For more information call (843) 853-2252 or visit http://www.charlestonmusichall.com/event/1393485-rick-springfield-stripped-charleston/. May 11 – Hops and Vines at the McLeod Plantation in Charleston. This event will include live entertainment, wine, beer, and the chance to tour the grounds of this fabulous Plantation. For more information call (843) 795-4386 or visit http://ccprc.com/3181/Hops-Vines. May 12 – Friday Night Boogie at the Mount Pleasant Pier in Mount Pleasant. Here is your chance to get out and dance under the stars. For more information call (843) 795-4386 or visit http://ccprc.com/1740/Friday-Night-Boogie. March 12 – The Golf Ball Gala: A Night to Shine at the Daniel Island Club on Daniel Island. This is a cocktail attire event, with creative food stations, wine and beer, fun activities, and a silent and live auction, with all proceeds to provide financial support to local families in need. For more information visit http://bidr.co/events/eccogala17. May 12 – 14 – Charleston Greek Festival at Holy Trinity Greek Orthodox Church in Charleston. This fun weekend will be filled with great Greek food, music, dancing, artisans and crafts, and just plain fun! For more information call (843) 577-2063 ext. 11 or visit http://www.charlestongreekfestival.com/. May 12 – 21 – Bike Week and Spring Rally throughout Myrtle Beach and the Grand Strand area. You’ll enjoy 9 days of great fun, fellowship, a Biker Bash, and so many more fun and engaging activities. For more information call (336) 643-1367 or visit http://www.myrtlebeachbikeweek.com/events/spring-rally/. May 13 – “An Evening With Davis Crosby & Friends” at the Charleston Music Hall in Charleston. This Crosby, Stills, & Nash artist will certainly provide you with an amazing evening of entertainment. For more information call (843) 853-2252 or visit http://www.charlestonmusichall.com/event/1424201-evening-david-crosby-charleston/. May 13 – Bluffton Village Festival / Mayfest in downtown Bluffton. This will be a day filled with live entertainment, arts and crafts, lots of great food, an ugly dog contest, a pie eating contest, and more! For more information call (843) 815-2277 or visit http://www.blufftonvillagefestival.com/. May 13 – Green and Lean 5K at Brittlebank Park in Charleston. This event is to help promote a cleaner environment. For more information call (843) 579-7501 or visit http://www.greenandlean5k.com/. May 13 – Mayfest on Main Festival on Main Street in North Myrtle Beach. This will be a day filled with live entertainment and a tremendous amount of fun! For more information call (843) 280-5570 or visit http://www.myrtlebeach.com/myrtle-beach-events/show/mayfest-on-main-festival/. May 13 – Outdoor Movie: “Moana” at Wannamaker County Park in North Charleston. The entire family will enjoy this fun Disney movie. For more information call (843) 795-4386 or visit https://www.ccprc.com/1667/Wannamaker-Movie-Night. May 13 – Shaggin’ on the Cooper: “Shem Creek Boogie Band” on the Mount Pleasant Pier in Mount Pleasant. Pull out those dancing shoes and head for the river for live music and shaggin’! For more information call (843) 795-4386 or visit http://ccprc.com/1175/Shaggin-on-the-Cooper. May 13 – Tara Hall Paddle Fest at the Tara Hall Home for Boys in Georgetown. You’ll enjoy a fun day on the water while supporting this great organization. For more information call (843) 546-3000 or visit http://www.tarahall.org/paddle-fest-central/paddlefest-registration/. May 16 – 18 – South Carolina Senior Sports Classic at Francis Marion University in Florence. This 80 event sporting competition is for adults 50 years and older, and is the senior sanctions qualifier for the National Senior Games Association with master athletes from all over the country attending so come out and enjoy the event. For more information call (803) 374-5793 or visit http://scseniorgames.com/.